This was a region in what would be Wales, but which was at the very start of that process. Perhaps not originally a Roman district which later became a Welsh cantref, unlike Rhos, it was granted to, or was acquired by, Gwynedd during the creation of this kingdom by Cunedda (sometimes shown in later Welsh texts as Cunedag). 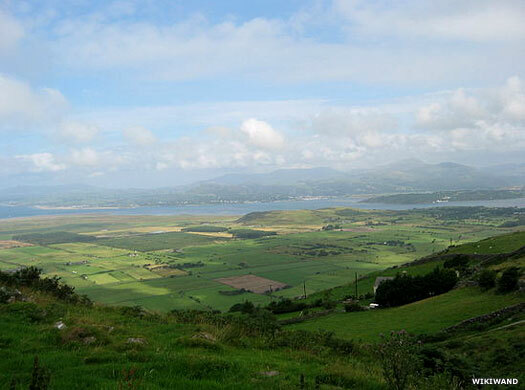 It was located in the Porthmadog and Harlech region of western Gwynedd, on the southern edge of the Llŷn Peninsula. Upon Cunedda's death it was passed onto his fourth son, probably in the mid-fifth century, an event which saw it converted into a sub-kingdom of Gwynedd. After a relatively long period of personal control by the kings of Dunoding within Gwynedd's overall borders, the sub-kingdom was later apparently drawn back under the direct control of its Gwyneddian overlord. The origin of the name is purportedly based on that of the first king - Dynod. This is sometimes shown as Dunod, and that version would be closer to the original, although the Latinised Dunautus may also have been used by a newly-created royal family which already had Latinised links in its original homeland amongst the Venicones. A Latin letter 'u' in Dunod (the classical Latin 'v') became a 'y' in Welsh, but was still pronounced either as a 'u' or an 'i', depending on the word. The 'i' sound follows the 'u' sound in time (the 'i' comes later), so that the progression ends with an 'i' in many cases. The 'u' is clearly the oldest form here, with Dynod being a later Welsh version of the name. As for the name of the sub-kingdom itself - which should not be confused with the similarly-named Dunoting of northern Britain created in the sixth century - the '-ing' suffix is an English interpretation (or misinterpretation), showing up as 'Dunoding'. The equivalent Welsh suffix is '-ion' and the two seem to have been an automatic translation between the languages, with the Anglo-Saxons habitually substituted 'ing' for '-ion'. The kingdom and its ruling dynasty should more properly be Dunodion or Dynodion, although Welsh consonant shifts always leave room for uncertainty. The sub-kingdoms of Gwynedd are explored in more detail in the accompanying feature (see link, right). Virtually nothing seems to be known about the territory within Dunoding during its existence as a sub-kingdom. Only later medieval genealogies record the names of its kings, probably using oral tradition as their source. For that reason the names are probably reliable, as it would be the duty of each king to be able to recite the list of his ancestors back to Cunedda - a powerful and highly important figure to have in one's family tree. The sub-kings themselves, though, would have been very much a junior branch of the family, probably without any right to challenge for the kingship of Gwynedd itself. Fourth son of Cunedda Wledig of Gwynedd. Dingad's cousin, Owain Ddantgwyn of Rhos, is murdered by Maelgwyn Gwynedd, king of all Gwynedd, at the very start of the latter's kingship. Maelgwyn is perhaps better known during his own lifetime as Maglocunus. King Rhun Hir of Gwynedd has to fight off an attempted invasive takeover by his brother-in-law, Prince Elidyr of Alt Clut. Elidyr thinks his claim is stronger because Rhun is illegitimate, but he fails to recognise Gwyneddian law which gives equal accession rights to both legitimate and illegitimate offspring. Elidyr is killed in battle on the Cadnant Brook in Gwynedd. Are the Gwyneddian sub-kings called upon to bolster Rhun's forces against this outside threat? 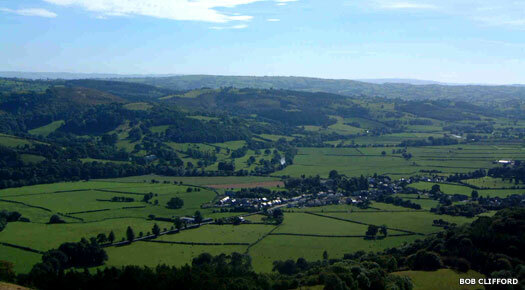 Brochfael ap Idon is possibly named after the better known Brochfael Ysgythrog of sixth century Powys. The name is an intriguing one. The second part of it is the familiar 'fael', which can also be shown as 'mael' in other variations and 'maglo' going further back in time. It means 'servant, slave, follower', etc. The first part is rather more puzzling. 'Broch' seems to derive from proto-Celtic 'broko', meaning 'anger', which also means 'badger' ('angry animal'). It still means both in modern Welsh, but its origins as a name are unknown. Was there some (local) deity who was a personification of anger? Or was there some family emblem from tribal days, a badger totem perhaps? Its re-use in seventh century Meirionnydd and eighth century Dunoding suggests that it had been popularised to an extent by the earlier Powysian king. During the reign of Merfyn Vrych of Gwynedd those Britons residing in England are obliged to renounce their British ancestry or leave the country and their homes within three months. Perhaps it is this insult that prompts the king to engage in battle against Beorhtwulf of Mercia (whom the Welsh annals name Berthwryd). The battle at Cyveiliawc (otherwise called Ketill or Cetyll), is apparently very severe and the king is killed. In the same year another battle is fought at Fferyllwg, 'between the Wye and the Severn', although it is unknown who commands the Welsh forces. It is they who carry the day this time (a further battle is fought on the same site about two years later, which ends in stalemate). Son. Last of the Dunodion kings. Died around 925? The line of descent from Dynod apparently ends with Cuhelm, so the territory is fully merged back into a Gwynedd which is ruled by Idwal Foel. At the same time the territory is divided into the cantrefi of Eifionydd and Ardudwy. The Norman conquest of Gwynedd in 1283 sees the cantrefi assigned to the counties of Caernarfonshire and Meirionnydd respectively. Today both are part of a revived county of Gwynedd.